A few months ago I wrote about Project Management vs. Project Leadership. The dichotomy wasn’t perfect, but it can be informative. There’s also more to discuss. One thing that wasn’t considered in that original post was the relationship between a supervisor and the employees as intrinsic or extrinsically motivated individuals. In Daniel H. Pink’s Book, Drive he discusses how this difference impacts performance. Extrinsically motivated individuals looks for external stimulus (positive or negative) in order to induce action. These are often seen as the carrot or the stick, and so much of our society is based on the idea that humans are sedentary and the only way to get them to do things is with either a promised reward or punishment. Intrinsically motivated individuals are self-motivated. They like to solve the problems and puzzles in front of them for the sake of solving the puzzles. Daniel makes a compelling case for suggesting that we’re all naturally intrinsic beings who learn to be extrinsic based upon our experiences and in contrast to our nature. An intrinsically motivated individual is going to respond to a project leader. An extrinsically motivated individual is going to respond to a project manager. If it is in our nature to all be intrinsically motivated and we’ve only surprised this at some point then it would make sense that this intrinsic self of ours could be reinvigorated through the practice of project leadership. I’d like to start off by pointing out this is not a true dichotomy. Project Management and Project Leadership are not exclusively on the same spectrum, but there are differences and placing them as opposites on the same spectrum can provide some insights into the discipline and our behavior. These are closed transactional questions that don’t lend themselves too much more information than could be achieved by a bar graph or spreadsheet. Why pull people into a meeting for a status you could get from a website? In contrast I’ve worked with others who don’t directly focus on the progress of the deliverable, but instead will start with focusing on the person and their team. More than one time I’ve been a part of a meeting where a project leader will ask someone how it’s going and in the course of the response they’ll get a full status update as well as context that helps to understand the challenges that team faces. The style that only focuses on the status loses important context. I’ve often said that Lean can be simplified into the sentence of “making work for the next person easier at the point of hand-off.” This is hard to do without a shared understanding among the team of the context the next person has to operate in. Shared context helps to make the work of the team visible it’s something leaders strive for and managers miss. Any time you see the word management written it’s probably referring to a definition widely influenced by Frederick Taylor. 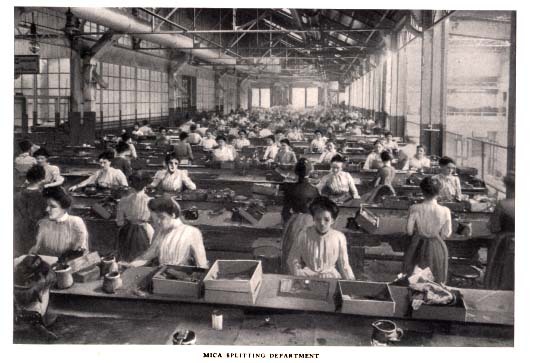 The industrial revolution moved work from disparate and disconnected environments and consolidated them in factories. Very quickly people who went from one generation working with a handful of others in agriculture found themselves working with hundreds of others. This drastically changed the way the work force operated. It also mean that there was a large diversity in work ethics and work experiences. This was especially true in the United States when immigration meant not only a workforce new to the job, but new to the language and culture of their new country as well. Non standard processes and perspectives can lead to significant issues with production. Frederick Taylor saw how these problems impacted the productivity of manufacturing and performed studies and wrote about the solutions he found. His book, The Principles of Scientific Management has been widely influential, but because of his generation it contains a few flaws that encourage transactional behavior. Taylor’s model relies very heavily on class distinctions between Management and Workers. Managers get paid to think. Workers get paid to do. Ideas come from managers studying out the problems to improve progress along their measurements. Can you see how this could lead to some issues? Firstly, the measurements of his era where the best they had, but are clearly wrong. Cost accounting’s flaws translate to a great deal of poor behavior and encourage waste in a system. If no good ideas could come from the employees then how valued do you think they will be and how will their sense of value improve their performance? One needs only read the story of the NUMMI Plant in Smarter, Faster, Better to see what a difference employee empowerment can make. Taylor’s definition of management was highly influential during World War II when the term Project Management first appears in the literature. Today the heritage of Project Management is the transactional manager. PMI has made huge strides to address the issues this causes (there’s a whole section on resources now), but its literature isn’t quite divorced from the history of the transactional management style. Change your vocabulary. Use the work Project Leader instead of Project Manager. It’s amazing how powerful a word change can be. See the symptoms. If you’re frustrated then you’re managing, not leading. Leaders help the team through their trials. Help create the team. Leaders help members of a group feel like they’re part of a team. One of the best ways to encourage this is to provide positive reinforcement. Starting your team building by telling someone in a meeting they let the group down is not an ideal technique. Instead help the group see that the challenges of one person are group challenges and help that person with the challenges feel they’re not alone. While it’s not true that Project Management and Project Leadership are opposites exaggerating the differences helps to illustrate that there are differences between the two. These differences are part of the heritage of the project management discipline being heavily influenced by Frederick Taylor’s scientific management. We’ve got some practical steps we can take now to change towards project leadership and to close the gap between the use of project management and project leadership in our actions and in our prose. Of course, you could take another route and apply the techniques in The Art of Demotivation, or follow all the examples of Dilbert’s Pointy-Haired Boss. For a brief moment in my life I thought acting would be fun. Not as a career, but as a hobby. I did a couple of school plays, but I mostly did it because I didn’t want to do homework. During a skit rehearsal someone explained that acting better when you can learn what motivates and sympathize with the character you’re trying to portray. This is one of the few pieces of advice that has stuck with me throughout the years. When I wrote my first book I didn’t realize I was writing a book. I was working on a project. I had something to say. Once it was complete I realized I had broken through the mental barrier of writing and had written something of substance. I decided to write more. So I dabbed my hand in fiction. It was a bit of an odd choice because I typically don’t read fiction. I get too lost in the characters. For me I started writing fiction because I had something to say and the most efficient way for me to say it was through characters I created. Now I’ve written two pieces of fiction. Nothing to brag about, but they were fun projects and each had a purpose. They’ve also been extremely helpful with teaching me leadership. When I’ve sat down to develop characters and their back stories I’ve had to ask myself, what is this character’s motivation? Why would they be motivated to play the role I need them to in my story? Pro tip, if you want your book to be marketable and enjoyed make sure you pick motivations that a large audience can relate to. Something odd happened as I was building characters. I started seeing more dimensions to the people I was working with. I started noticing and caring more about their lives and what they were doing because I could see how their lives were impacting their work. Finding that connection made being personable a lot easier, because I was able to more easily see its purpose. Sometimes someone will just need someone else to listen to their story. When we tell stories we reveal a lot about ourselves. We share our world view, group identities, and factual information. When someone’s talking you get to hear their perspective and if you listen carefully, you can hear what motivates them. This fall I moved to a new job and have spent several months listening and talking to people so they could get to know me and so I could get to know them. We have one employee who has a wonderful history and is a bohemian combination of various skills. After I was done talking with her I started to ask myself, why does she have so many varying interests? What’s the thread that connects them all? The answer is the way she asks questions and the confidence she carries from having answers. This employee has a hard time walking away from a question she doesn’t have an answer to or something she doesn’t understand as well as she’d like to. So, when she had questions about photography she studied and learned photography. When she had questions about how computers worked, she’d studied and learned computers. When she got the job here she studied and learned everything she needed to know to be functional, but that doesn’t mean she knew every part of the job. With an audit coming up I visited this employee with a copy of the audit questions. I knew that it would be valuable to sit down with her, but I let her control when we scheduled the time. I’m always impressed by how good employees will take the time to hear and prioritize a leader’s goals. When the time came to sit down I didn’t need to tell her how to do her job. We just talked and read the questions. She had answers to all of them, but I could tell in the tone of her voice that she was less confident about some of her responses than she was when she was talking about the things she was passionate about. It took a few very minor verbal and nonverbal clues for her to realize where she was lacking and at the end of the conversation we didn’t commit to a time line for a follow up. I knew I didn’t need to. I was right not scheduling the follow up. Let’s be clear, I’m not against follow up. I planned to follow up, but I didn’t schedule it. The next day she came up to me and informed me that because she had budgeted the time to meet with me, she also budgeted the time for self improvement. She spent the rest of that day researching all of the answers where her confidence wasn’t as high. I listened. As she talked I could hear her proudly relate specific answers to certain questions where the day before we only had generalizations. Listening to this conversation allowed me to acknowledge her effort and rehearse for the upcoming audit. Listening is an important skill for leaders, but taking the time to understand what motivates your team members is what makes listening worth while. Not everyone I’ve worked with is as self motivated as this employee, but everyone I’ve worked with is motivated by something, and taking the time to figure out what that is isn’t just a good idea, it’s a big step on the road to making good people great performers.